Created in 1993, the company IAPI is an automation and industrial computing design office, located in Boulazac in the Dordogne department, near Perigueux. We specialize in position servo management and in particular since 1998, we have designed a range of solutions dedicated to stage management. The suitability of our choices and the seriousness of our achievements have allowed us to become a major European player. We designed EasyScene, using a real-time kernel in order to overcome the timing issues related to operating systems, and also to comply with security-related functions relating to the 61508 standard. 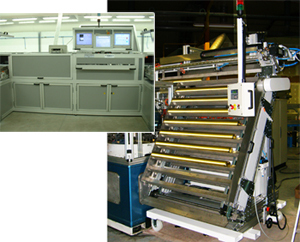 IAPI also designs automated systems and special-purpose equipment for the industry.